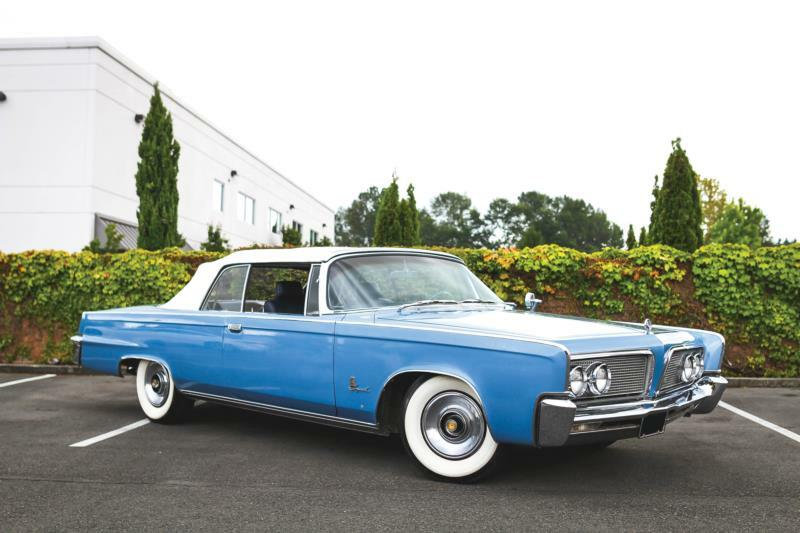 The Chrysler Corporation’s Imperial line finally entered the 1960s proper with the car’s,1964 redesign, courtesy of Elwood Engle. Gone were the fins and chrome of the 1963 model, and new were slab sides, razor-edged lines, and subtle trim highlights reminiscent of the 1961 Lincoln Continental. Visually, the car was just as successful. The 1964 Imperials had a stylized “tin spare” built into the trunk line, a boxy roofline, and a broad C-pillar. As a result, 1964 sales jumped 65%, to 23,285. The Imperial was divided into the Crown (two- and four-door hardtop, and a convertible) and the Lebaron (four-door hardtop). Ghia also built 10 Crown Imperial eight-passenger limousines this year. All Imperials rode on a 129-inch wheelbase and were powered by the 340-hp, 413-cid V-8. Having got it right, little was changed for the 1965 Imperial, save for a new, forward- leaning grille that featured smooth mesh and four divisions. The car’s headlights were placed behind smooth glass panels. By now, almost all power options were standardized. The sole change for the 1966 Imperial was to the grille, which now carried an ice-cube tray design, and was slightly lower with a bold chrome strip across the top. The engine was bumped to 440 cid and now generated 350 hp. The Imperial line received a complete makeover in 1967, as the line switched to a unibody configuration and received an entirely new look. 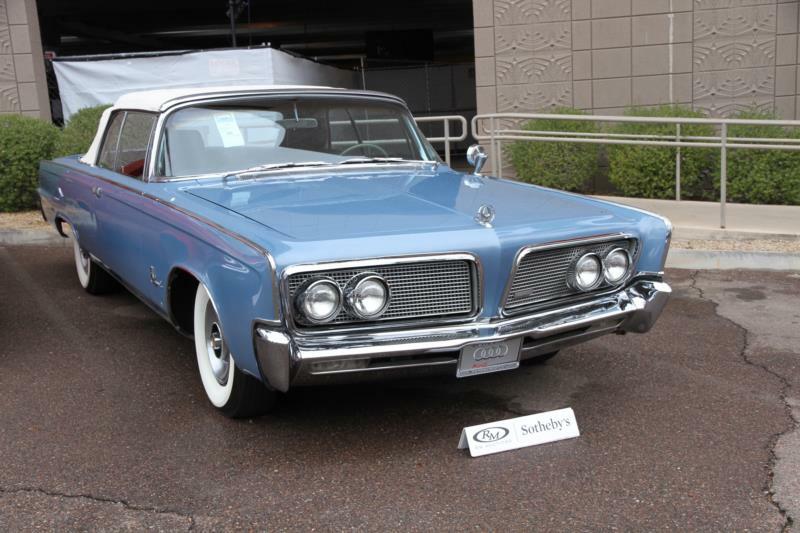 The 1964-1966 Imperial has worn very well visually. They tended to be bought by older, wealthy Chrysler loyalists, and their historically poor resale values kept them in the hands of original owners for many years. As a result, good original cars can still be found, and they have undeniable presence. Entry prices are relatively low, as is maintenance, but be aware that operating expenses are proportional to fuel prices, as the cars average approximately 10 mpg.